What are the recommended spark plugs for these heads. It says on one of the videos that it takes a gasket style plug? 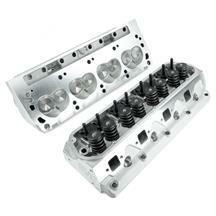 These heads work with the after market spark plug part number AGSP32CK or equivalent, depending on what brand you prefer. Your local auto store can do a cross reference for you.